The cafes and artists‘ studios of bohemian Chelsea provide the setting for this tightly plotted early-fifties Brit Noir thriller. Starring B-movie favourite Hy Hazell, noted character actor John Bailey and Ballard Berkely Fawlty Towers’ much-loved Major Gowen in the type of detective role for which he was best known during his earlier career, The Night Won’t Talk is featured here in a brand-new transfer from the original film elements in its original theatrical aspect ratio. 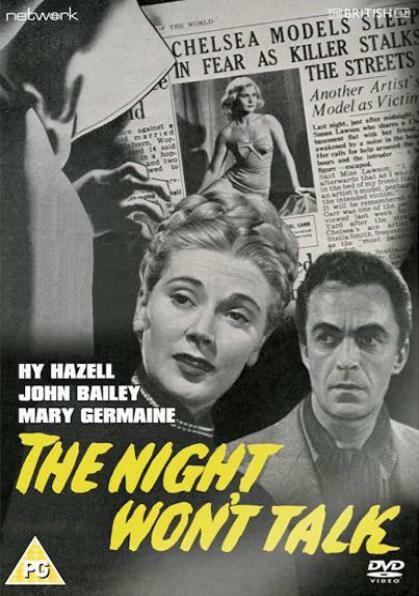 Featuring: The Night Won’t Talk (1952).